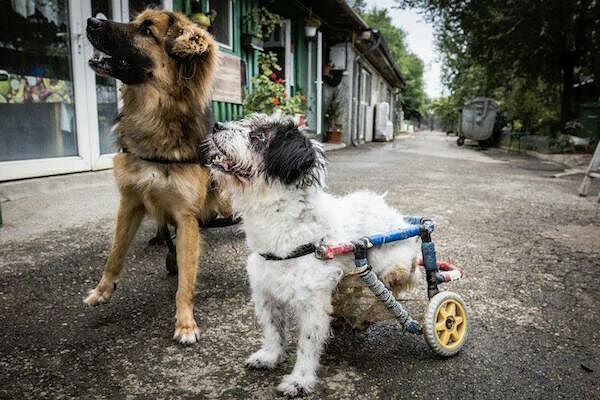 Many animal shelters around the world provide their rescued animals with food, warmth, and love but a place in Romania is providing something else: wheelchairs. 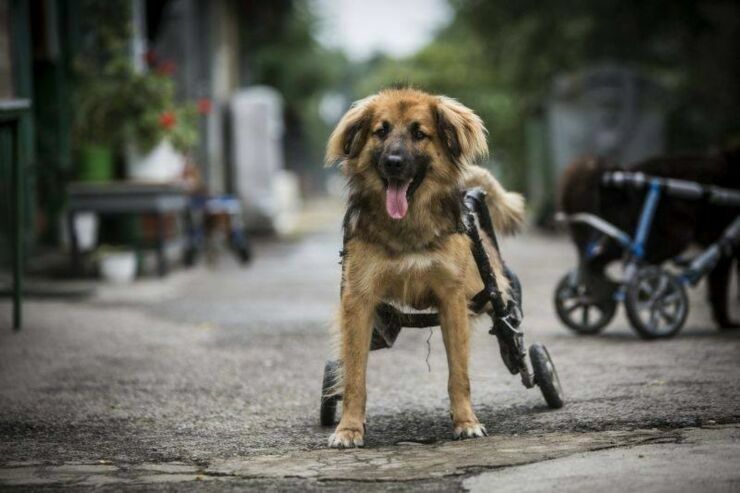 Adăpostul Speranța, part of Four Paws International, are happy to not only take in stray dogs and give them care for the rest of their lives but, if needed, they'll also provide the dog with its own wheelchair. 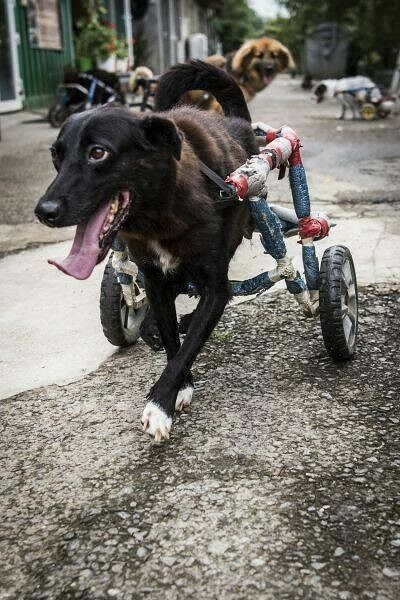 Often disabled animals find it difficult to get a forever home and can sometimes be put down as a result. 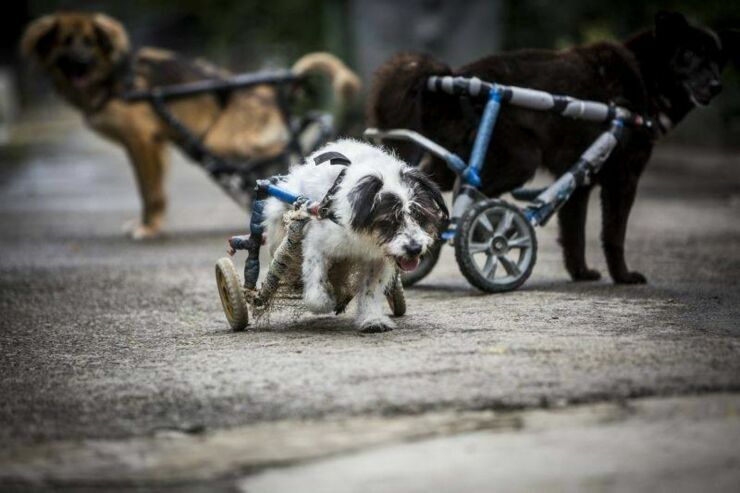 Adăpostul Speranța takes a different approach and instead enables disabled dogs to be active and enjoy their life. 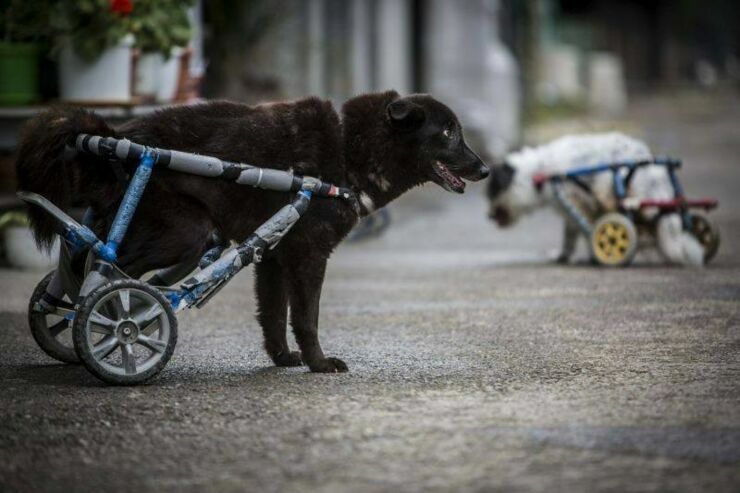 The wheelchair is essentially a small cart that attaches to the dogs' bodies so they can get about. 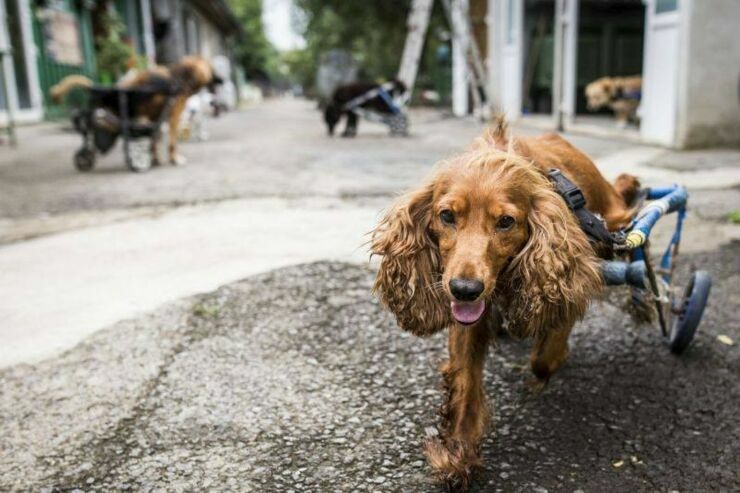 The carts can be customized to the dogs' height and size so each one fits well. 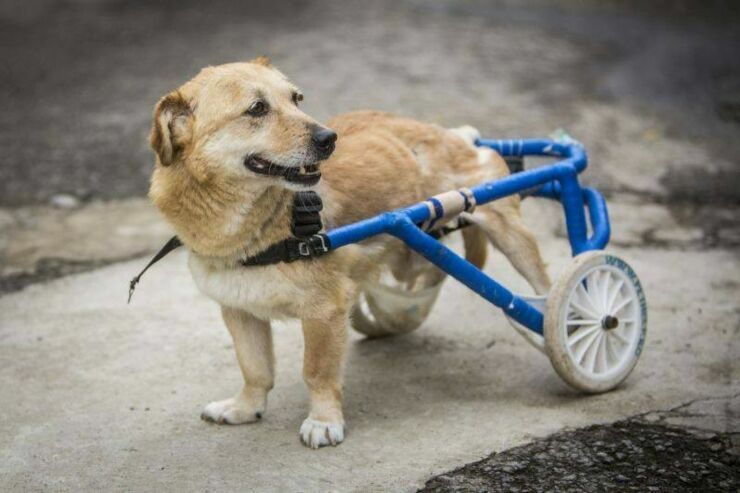 "At Speranța, we insist not to leave any dog behind," the hospital have said. 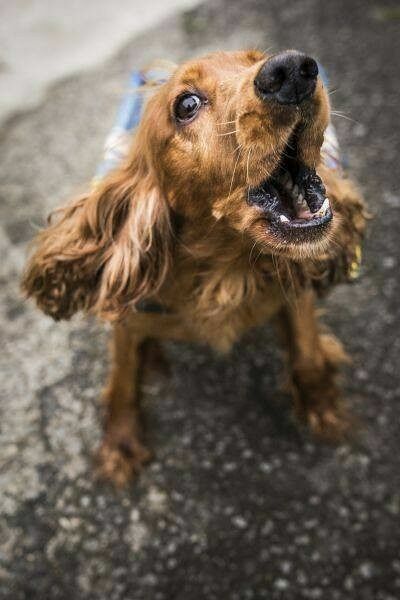 "Beside the worst of cases, when putting a dog to sleep can save him from a life of torment and pain, we absolutely refuse to end a life that, with proper care, can be a happy one. 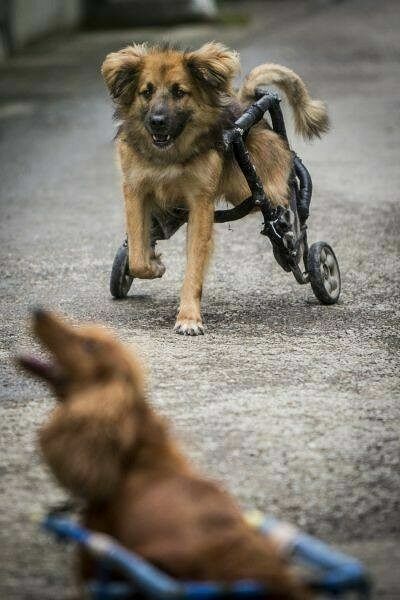 And we’re also the ones who provide that care—and the happiness of our paraplegic dogs is our reward." And the dogs can stay at the center their entire lives, where they will be looked after and cared for. 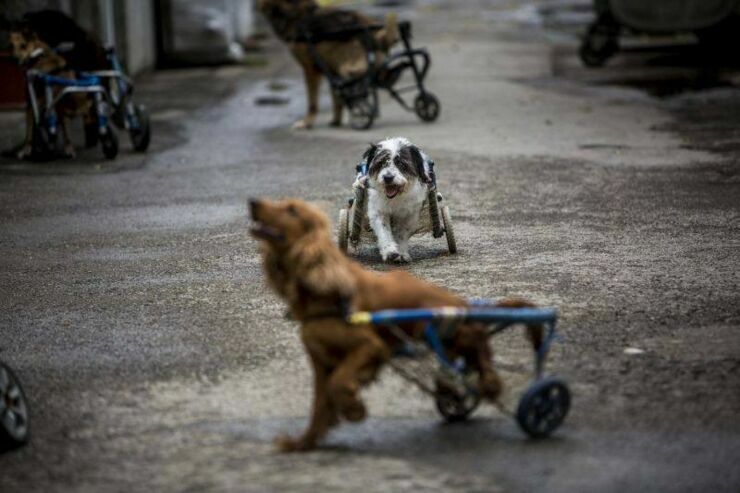 "With the help of their specially built carts, our doggies that can’t move their back legs anymore live a happy life: they run, they enjoy the sun and the grass, sometimes they even race, with their funny wheels." 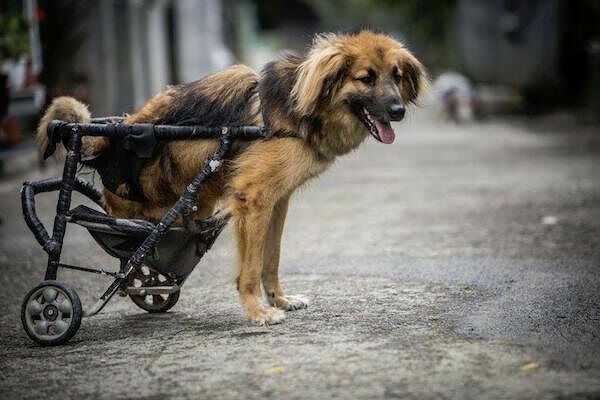 The shelter has to often replace the carts though, because they break or the dogs grow and need a new one. 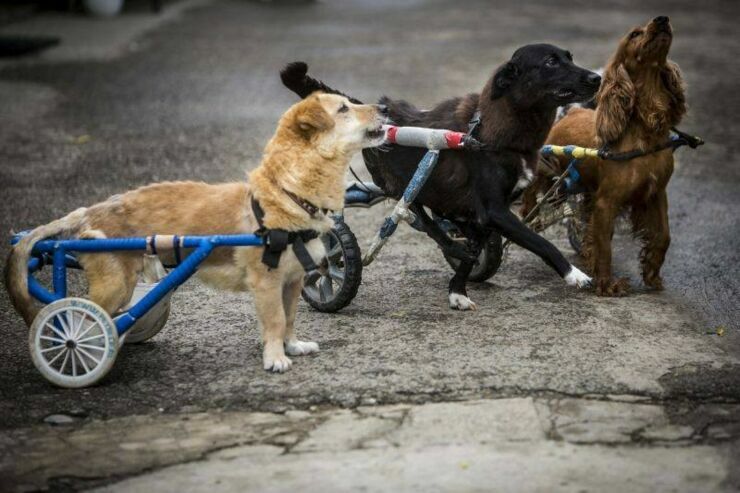 They are looking for donations to ensure they can keep providing these dogs with the lives they deserve. You can donate here. You can follow the shelter on Facebook too.